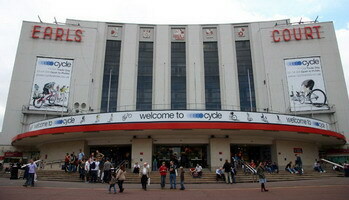 Earls Court and Olympia are exhibition halls are owned by EC&O Venues and are used as conference centres, for corporate event public events and exhibitions in Central London. Earls Court is located in the heart of West London and is easily accessible by public transport. Bournemouth International Centre features four main arenas and a host of ancillary rooms also available for smaller events. If you are exhibiting at Earls Court or Olympia Exhibition Centres we can help supply all displays, graphics and exhibition equipment. We also regularly attend as contractors for exhibition hire services. We supply tables and chairs, counters, display showcases for hire to create seating, hospitality areas or office space at the show. However we specialise in custom modular exhibition stands that are perfect for exhibiting at Earls Court or Olympia. If you have space only or a shell scheme at these London venues , talk to our sales team on 01933 411159 about innovative, practical display equipment for use at Earls Court and Olympia Venues.